Sensor specialist AMS said it expects revenue in the first quarter of 2019 to fall to $350-390m amid continued weak smartphone demand and first-quarter consumer market seasonality. The Austrian group said it would not pay a dividend for 2018 after its adjusted operating profit fell more than half in the fourth quarter. The company's profits were pulled down by slowing demand from a major customer and restructuring costs. 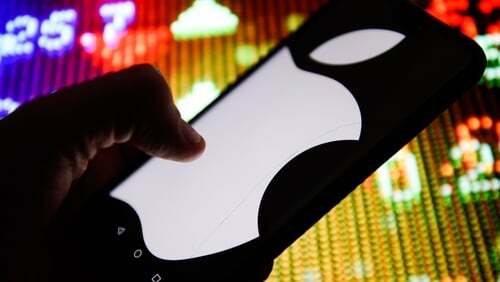 The Swiss-listed group supplies Apple with sensors for face-recognition technology. It said it generated adjusted earnings before interest and tax (EBIT) of $61.9m and revenue of $491m in the three months to the end of December. German chipmaker Infineon Technologies today revised down its guidance for full-year revenue growth and said it would trim investments, saying it faced an "increasingly difficult business environment". "Reflecting a more volatile end market and macro-economic environment, AMS has decided to suspend its cash dividend policy for fiscal year 2018 to focus on strengthening its business position in 2019," AMS said. AMS provides Apple with optical sensors for 3D facial recognition features on its newest iPhones and generates around 45% of sales from that, according to analysts. Lower-than-expected demand for these phones, especially in China, has put pressure on AMS. The group said net debt increased to $1.36 billion by the end of December from $987.9m a year ago. It has finished a solution for sensors capable of scanning surroundings in 3D, so-called world-facing 3D sensors, for a major Android manufacturer and expects shipments to start in the current quarter, it added.